Clara Leonard is an Associate at Digital Health Ventures (DHV). Prior to joining DHV, Clara worked at Sanofi in San Francisco and Paris as a scout and project leader for Digital Health solutions. 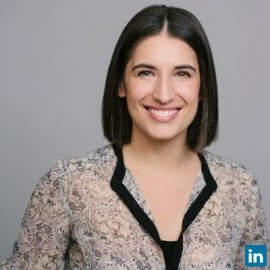 She gained a sharp knowledge of the Digital Health ecosystem by sourcing opportunities for partnerships with cutting edge startups and actively contributed to large scale projects such as the joint venture between Verily (former Google Life Sciences) and Sanofi in Diabetes management. She also acquired operational startup experience in a Business Development role at a French tech startup which successfully qualified for Y Combinator. Clara holds a double Master degree in Management from HEC Paris and Ecole Polytechnique, with a specialization in Project Management and Innovation. She studied and interned in France, Germany and Australia, where she earned experience in Strategy Consulting and Private Equity.